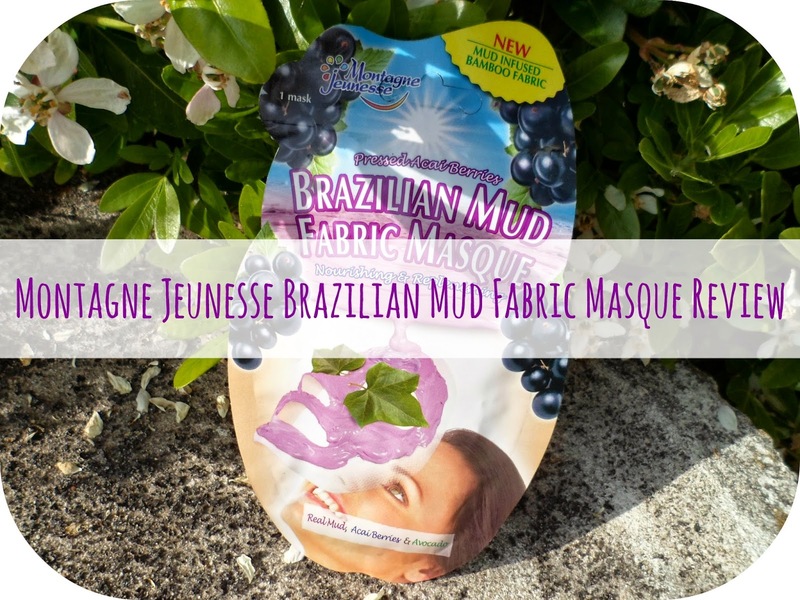 After my recent success with the Creamy Coconut sachet face mask from Montagne Jeunesse I decided to pick another one up, and whilst doing that I spotted this interesting creation and thought... why not give that a go too! 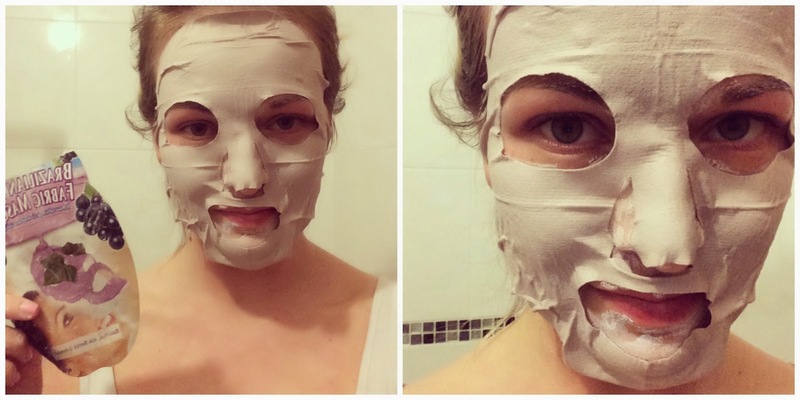 I had never used a fabric face mask before this - there isn't that many around really is there? Or am I just living in a bubble? 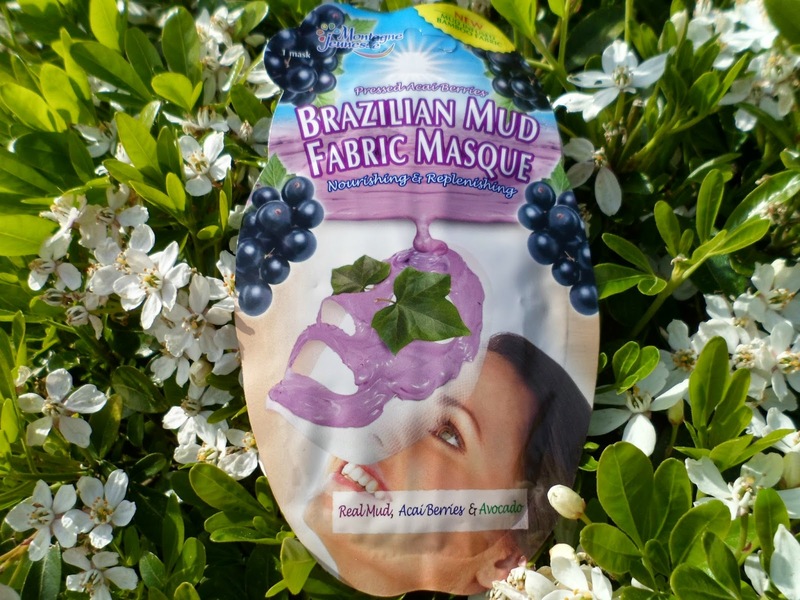 From the packet I was sold, a mud mask with Acai berries and Avocado - sounds both impressive and relaxing right? I've heard so many great things about the acai berry and I know avocado is good for the skin so it sounds like a perfect pairing. The fact it was a fabric mask has me intrigued aswell, would this work as well as a normal face mask? Instructions at the ready (As shown above) and with my face freshly cleansed of all slap and grime with my Liz Earle Cleanse & Polish my skin was clean and ready for action. I pulled the mask from the sachet and immediately got the giggles... even though I was stood in the bathroom alone I actually couldn't stop laughing. On it went and I still had the giggles - which is definitely not what you want when using any form of face mask! I just thought I looked so ridiculous/scary - what on earth was I doing?! The scent to the mask was lovely which I was happy about as some mud masks don't have the greatest of smells! After I had managed to calm myself down, I chilled out for the said 15 minutes or so - then did a bit of massaging as it says in the instructions, pulled the mask off and then rinsed away the excess product. I am really happy with the results, after I had used the mask my skin actually felt so fresh and squeaky clean. Walking through my flat my skin felt so light and airy... lol does that even make sense? Fabric masks are very popular in Korea and the uk are picking up a lot of their practices at the moment. I know what you mean though when I first wore one I think my son thought I was from a horror movie! I love the tea tree fabric mask - Click here to see the post! These masks are so great if you are on a budget or maybe you ran out of your Origins mask and need a quick pick me up (often my issue)! Glad you liked it!